Fill out the form with any questions or inquiries you have for the sales consultants at The Reserve at Emerald Estates. You can also call or chat with us for immediate responses. Optional sunroom off of nook - As seen in a model home. Options may vary per community. 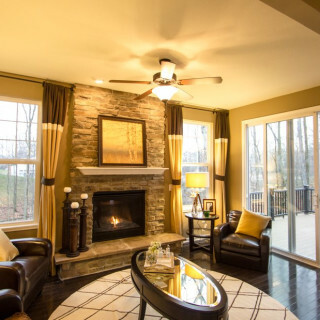 Great room with optional corner gas fireplace - As seen in a model home. Options may vary per community. 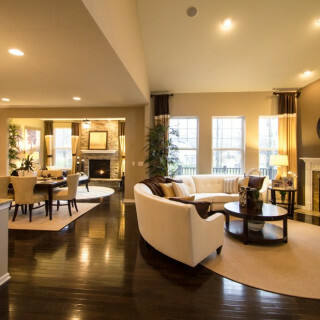 Second floor game room - As seen in a model home. Options may vary per community. Optional deluxe master bath with soaking tub - As seen in a model home. Options may vary per community. Kitchen with center island opens to great room - As seen in a model home. Options may vary per community. 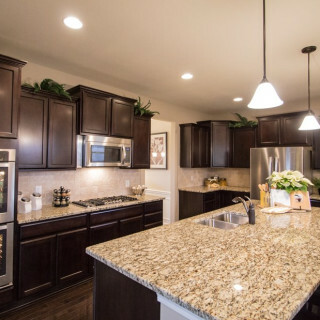 Known for its comfortable design, the Saratoga II offers busy families the perfect place to call home. First floor flex space can be used as a home office, guest suite, or dedicated kids’ playroom. The gathering room opens to the kitchen, which features a walk-in pantry and oversized center island with sink. Functional spaces abound on the second story, with a bonus room, plus a laundry room, and walk-in closets in every bedroom.